I was out at the lake today taking in the rays and the sights. With the temps being in the mid-forties and the sun shinning folks turned out to enjoy the day. 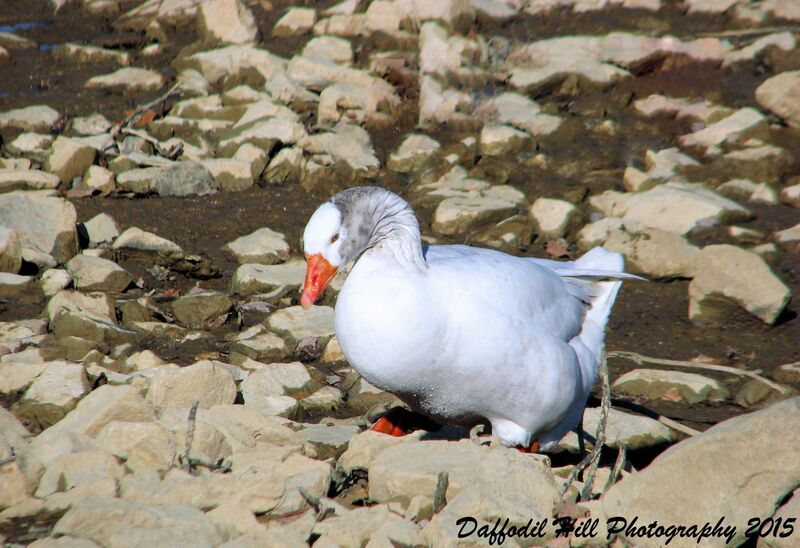 As I walked around I observed this goose swimming close to the shore line. As it came ashore to search for bits of food left by us hairless apes I took this shot. I am just now trying to learn the different types of geese that populate the lake. I have not been able to identify this one yet but she’s a beauty. Those orange ringed grey-steel eyes and vibrant bill and feet set of the rather understated white with a splash of grey and brown feathers.